Every budget is unique. In order for a budget to be successful, you need to understand where your money is going. Budgets are helpful when it comes to managing your bills and saving up for future expenses, but they’re also the key to spending your money confidently. Every budget is unique. In order for a budget to be successful, you need to understand where your money is going. Budgets are helpful when it comes to managing your bills and saving up for future expenses, but they’re also the key to spending your money confidently. To start building a budget, look at your income. Your income should be based on your take-home pay. This means subtracting taxes and other deductions from your paycheck. Make savings a priority by paying yourself first. Treat your savings category like a bill. Contribute to it each month by putting that money away first to keep from accidentally spending that money elsewhere. One way to ensure you do this is having an automatic transfer set up. Emergency funds are also an important part of any budget. In order to be effective, your emergency fund should only be accessed for real emergencies – like unexpected auto repairs or unemployment. Build your fund until it covers 3 to 6 months of living expenses. Check your budget, not your balance. Checking your balance doesn’t do a good job of telling you what you can and can’t afford each month. Each dollar in your budget should be accounted for – even that $2 coffee from the gas station. Evaluate your budget at the end of each month and ask yourself “is my spending reflecting my goals?” Create a budget that works for you. Whether you use an app, online resource, or the old school pen and paper creating a successful budget can save you stress, give you peace of mind, and help you feel confident about your money. Whether you’re planning your first budget or re-evaluating your current budget, the rules listed above will set you up for success by changing the way you look at budgeting. 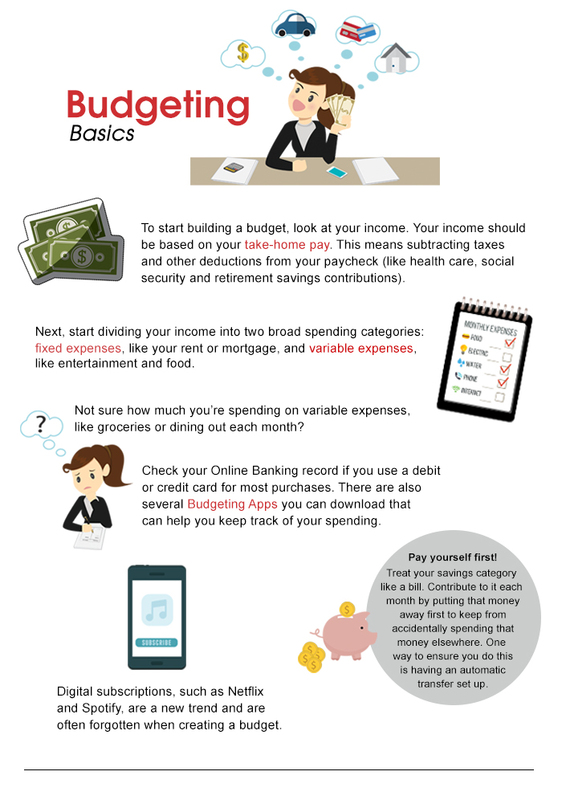 It doesn’t matter if you manage your budget on your smartphone or if you prefer old-school pen and paper-these budgeting basics can be applied to every budgeting system. If you would like to discuss your budget with someone, you can take advantage of the GreenPath Financial Wellness program, a free financial education and counseling program of Altra. GreenPath counselors are available Monday through Thursday 8 a.m. to 10 p.m. (EST), Friday 8 a.m. to 7 p.m. and Saturday from 9 a.m. to 6 p.m. To use this new service, simply call 1-877-337-3399 or visit them on the web at www.greenpathref.com.